With very little knowledge of the situation I would say I like our chances of making the cut. Hometown team and has been around the program. In the end making the final 5 means nothing. Slim. Very slim chances. But Zion Griffin had us in his final 4... so....yeah, means nothing to be in top 5. It does mean something to be in the final 5 on these high-major recruits. It shows you who Muller is after. It shows you we are beating out other P5s to get into that position. It shows our brand next to the other brands, which creates a perception that we are a program on the rise. Building your brand takes a long time. Every single occasion where we are in a top 5 helps a little bit. It will eventually help us break through from time to time. Brad Underwood is in person today at Pekin. Interesting stat with “Fouls Drawn” — Okoro was 7-14 from the line in the championship game, 17-30 overall. The game against Morton saw a total of 3 free throws (2 by MHS, 1 by NCWHS) all missed. He will look great playing next to Chris Payton in Redbird Arena starting in 2019. That would be a pretty fun front court to watch. It's a shame Phil will no longer be here to mentor Okoro on FT shooting. Seems like we sign a lot of players that aren't from here. Not sure what that has to do with anything. I think the local angle can only help. But then again, I'm a big make lemonade out of lemons guy. But what if life gives you rotten tomatoes? Okoro is very close to the family of Ayo Dosunmu. Isn't there an Illini board you can hang out on? I was at the West vs Danville game last night - terrible job by the refs last night. Danville was pushing, grabbing and holding Okoro with nothing called. 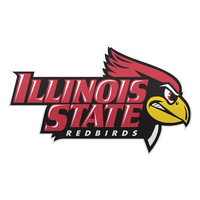 Several other West parents who are ISU season ticket holders - we all said that type of defense is not allowed in college. Okoro is definitely a physical specimen, can play around the rim and can rebound. Comparable to Fayne, but a little more athletic - both similar touch on jump shots and free throws. Bloomington and West are in the same regional on opposite sides of the bracket. There is a VERY GOOD chance BHS and West play in that Regional Championship in Rock Island. What are the odds the two schools can petition the IHSA to get that game to be at the Shirk? Seems silly that the schools are 10 min away from each other and they have to go 1.5 hours to play. (I know it happens all the time, but I can't think of the last time both teams had top D1 prospects.) It would sell out the Shirk for sure.